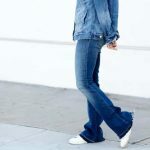 When ilovejeans.com launched back in 2006 we were the first denim portal to address how to shop for denim online. Giving you the customer the chance to choose your leg shape, rise, size, leg length and body shape. 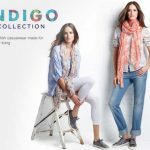 Since then shopping for denim online has turned a corner and retailers are realizing how important it is to promote their denim in a customer friendly way. Matches have just launched their Denim Clinic and have cleverly edited each style by this season’s trends, Skinny or Flare, Colour or Print or Cropped Denim. 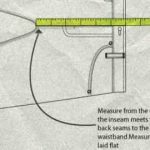 When you click into the trend and find the jean you like, under the Size & Fit tab you can be sure to find all the important answers needed, such as how the jean fits on size, inside leg and front rise measurement. We are loving these mink grey Edgemont Skinnys from Paige Denim with zip detail. Find them under the Skinny trend to team with the perfect outfit. « MY-WARDROBE’S SHOE LIBRARY FOR MEN: WHICH SHOES TO WEAR WITH JEANS?